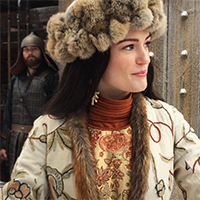 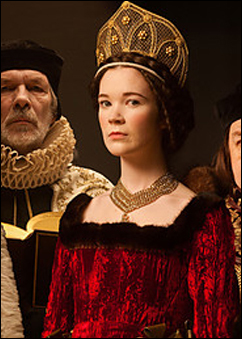 Though most of the gowns for the BBC’s Henry VIII were rented, the wardrobes of both Queen Anne Boleyn and Katharine of Aragon were made especially for the production by Lucinda Wright. 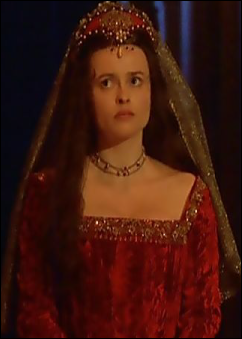 This lovely, red velvet gown was created for Helena Bonham Carter, who was already several months pregnant and needed a special gown to try to disguise this fact. 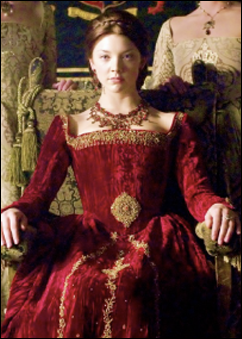 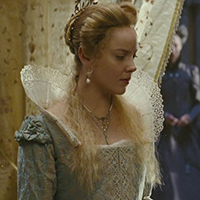 The gown was used again in Showtime’s second season of The Tudors on Natalie Dormer, also playing the role of Anne Boleyn. 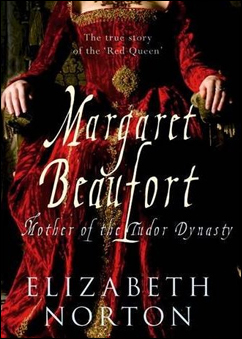 Shockingly, the third use of the gown isn't the normal kind of recycling for gowns - it appears that the actual promotional image from The Tudors has been taken and actually used for the cover of the book! 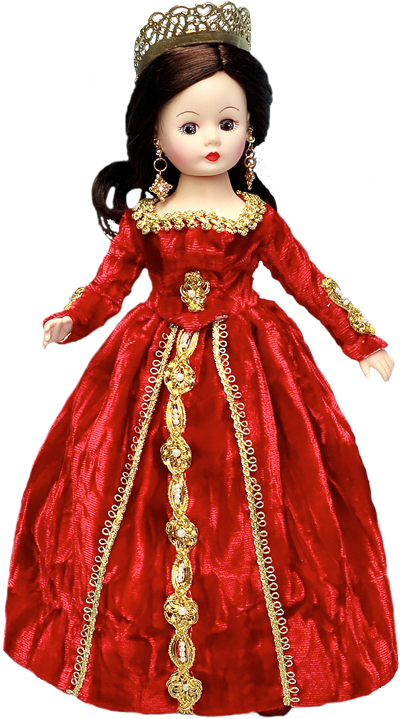 More amusing still is that in 2010, Madame Alexander released an Anne Boleyn doll based off of Natalie Dormer's portrayal in The Tudors, wearing the red, recycled gown.